Pack a country with 95,700 lakes(not counting the puddles) and countless kilometres of river, populate them with brown trout, Arctic char and grayling, and the statistical probability of creating a culture of fisherfolk is high. 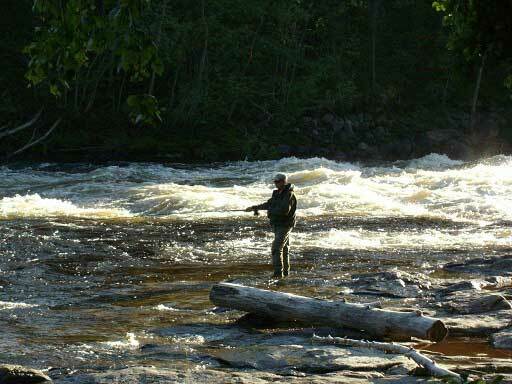 From the start, the Swedes had a landscape blessed with perfect water for salmonids. And they’ve kept it that way with stringent protections driven by a national passion to preserve the wild. 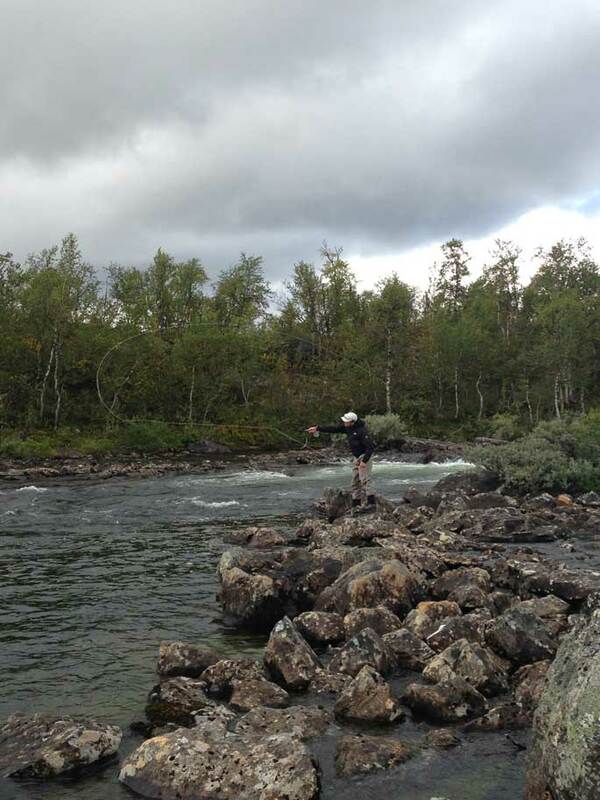 All the right conditions for great sport fisheries and a willingness to share natural treasures with like-minded enthusiasts makes Sweden a superb destination for wild salmonid fishing. Then there are the big trout. Carpet slippers aren’t suitable footwear for trout fishing in Sweden: if slippers are your style, book a day on the Test or Itchen. 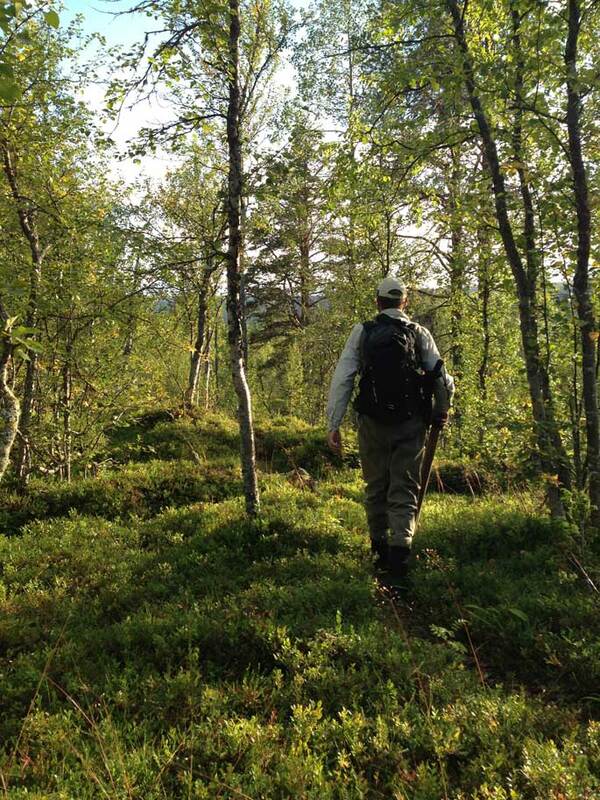 The pursuit of Salmo trutta in Vuonatjviken warms up with a five or eight kilometre meander down the unpaved Kungsleden Path with an audience of Swedish wildlife including reindeer and the occasional elk. Waterfalls and big pools give character to the rivers and provide landscape for strategic casting. 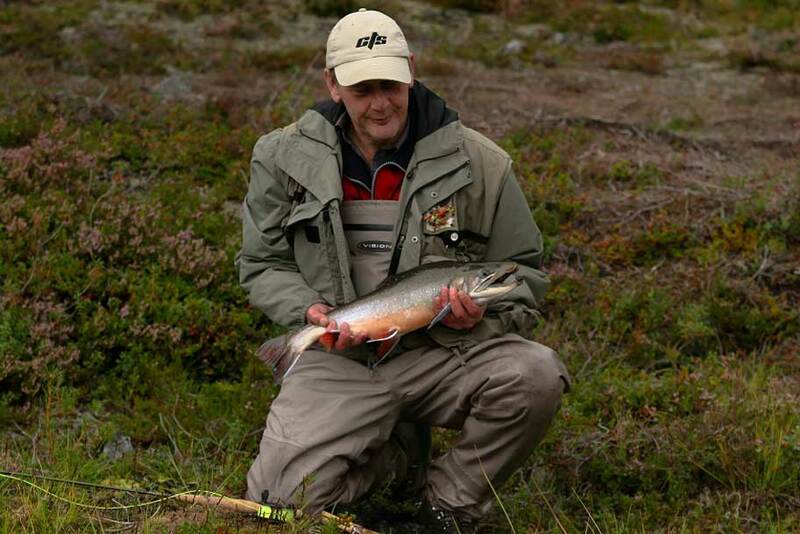 Welcome to the land where a two kilogram fish is just average and three and four kilo trout are to be expected. 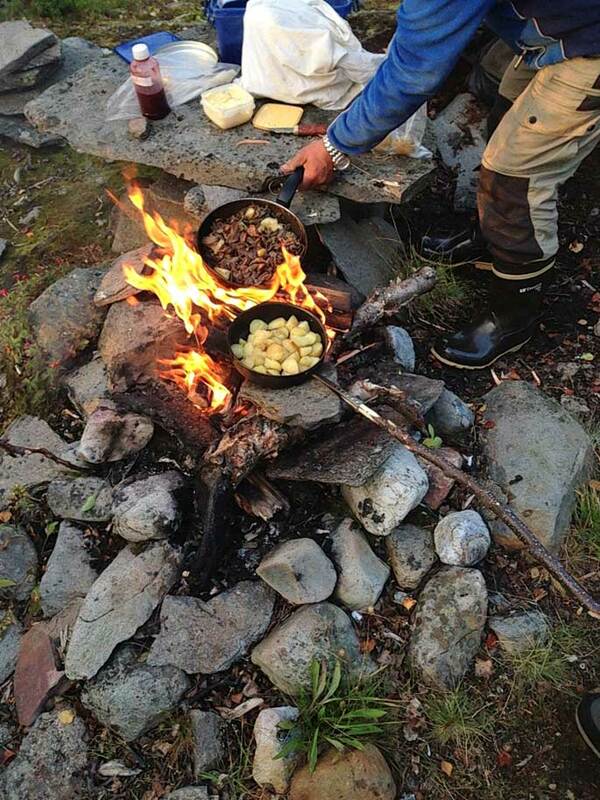 With guided fishing of this calibre accessible 24 hours a day (the land of the midnight sun is a moniker grounded in fact), it’s easy to see why bankside campfire meals are the norm. The pursuit of the illusive Arctic char requires 4×4, boat and helicopter as it takes you above the Arctic Circle to Miekak camp in the Swedish mountains near Norway. Here, in ancestral land of the Sami , the northernmost indigenous people of Europe, the char thrive in frigid waters. 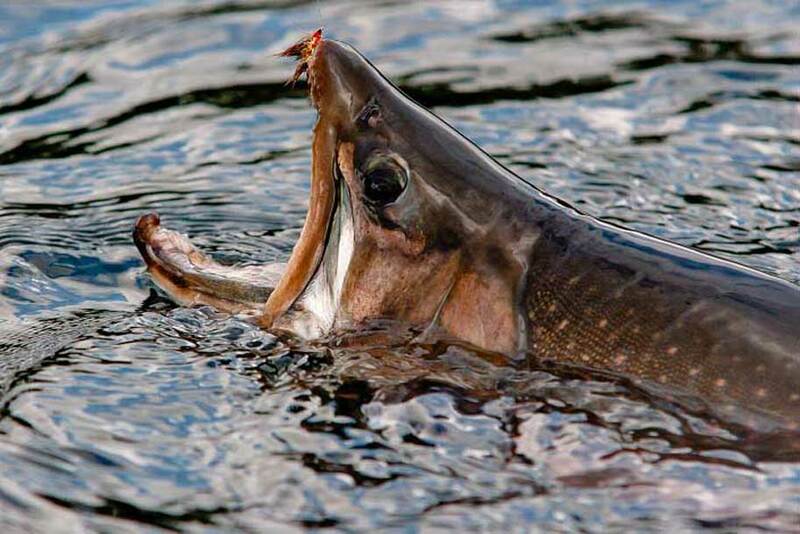 Hidden from the world by its relative inaccessibility is some of the best Arctic char fishing on the planet. Fished for from the bank, in waders, by boat and float tube, char are a worthy opponent in these crystal clear waters. Full of guile, local knowledge and plenty of fight, these are the fish of fireside tall tales. Nevermind that modern Swedish travel involves helicopter and 4×4 as well as boats and your own two feet. There’s nothing like starting and finishing a day’s sport with a fireside meal on the lake shore or riverbank to strip away modern amenities and send you straight back to your hunter-gatherer roots. 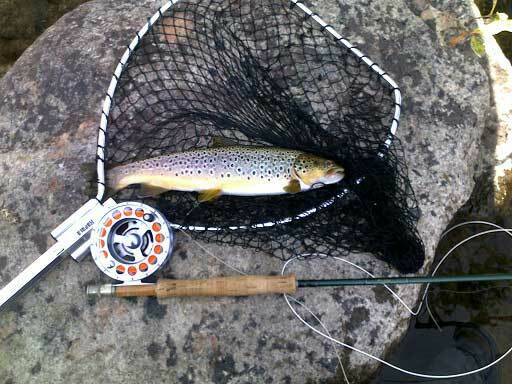 To rusticate with a rod in one hand, just book a flight, pack clean clothes, a toothbrush and a catching attitude. From the minute your feet touch down in Skellefteå we’ll take care of the rest. There is no specific clothing required but neutral and natural colours are most suited. To make the most of this trip you will be doing a lot of walking so make sure you have suitable footwear. A selection of lines including floating, Intermediate and sinking. The tippet recommended are in the region of 4-10lb breaking strain and should be coupled with leaders of 9-12ft. Many dry flies can be used but we recommend black gnat, black sedge, black daddy-longlegs, small yellow mayflies and parachute adams. For nymphing our recommendations are black stone flies, gold head kunte fly, gold head black pheasant tail and the woven black stonefly. All these are available at the lodge or can be purchased in advance. Be prepared for Mosquitoes (weather dependant), we strongly recommend head and bed nets along with a high percentage deet repellent. None required but we always recommend that you have at least standard travel insurance. Tips to the guides are included in the price of the trip.